MMJ doctors are a part of a multi-million dollar industry with a promising future. 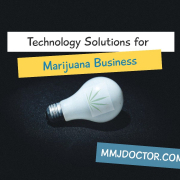 Therefore, all of these medical marijuana doctors are looking for solutions to help better their business. Besides operating a full functioning office or online website, the management of patients has to be on a secure system that is efficient, but also has the necessary features to keep everything operating correctly. A happy patient is better than an upset patient wondering where their medical records are located or why the visit is taking so long? The right MMJ software can fix this problem almost instantly. The day of boxes of medical records is coming to an end. Manila folders, file cabinets, and boxes of paper are no longer how any type of healthcare facility operates anymore. Now when you go to the doctor, even if it is not a medical marijuana facility, everything is done electronically. Even patient intake is now done electronically. Instead of waiting longer periods of time for a visit, patients are able to get into see a doctor quicker, the visit is faster, and the prescription or medical marijuana recommendation is issued almost immediately. This has improved the quality of healthcare, but it also has made visiting the doctor even better. 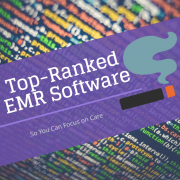 Why are so many doctors turning towards the EMR system? 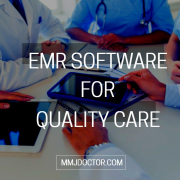 There are several reasons why doctors are finding that EMR are really beneficial. Before, doctors use to carry around multiple files and have to do charting at the end of every shift. Imagine trying to remember each individual patient and then on top of that, trying to remember details? That is really hard and it is almost impossible. The task of charting can take up more time than actually seeing patients. That was frustrating for doctors, but doctors also did not go to medical school to push paperwork. EMR make the doctor able to see more patients in one day and the charting can be done electronically from a tablet or a computer. Yes, the doctors do need to know how to operate a computer, but training or just practicing can make everything better over time. Doctors can now see more patients daily and the visits are even faster. Also, doctors are pleased with the pricing. Believe it or not, but the EMR system has reduced office expenses. Electronic devices are also reasonably priced and the notification process of electronic devices is better than sticky notes. The EMR are also stored in a secure location that will not take up space. That has made doctors across the world extremely happy, because trying to store years of medical records can not only cost a great deal of money, but trying to find space for all of the medical records can be a headache. The virtual world can hold all of these medical records safely for way less money. The online storage location of these EMR has all of the right security protocols and the firewall protecting the EMR is secure. 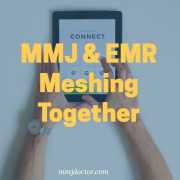 This is an important part of EMR that patients do not realize – their information is in a safe place. 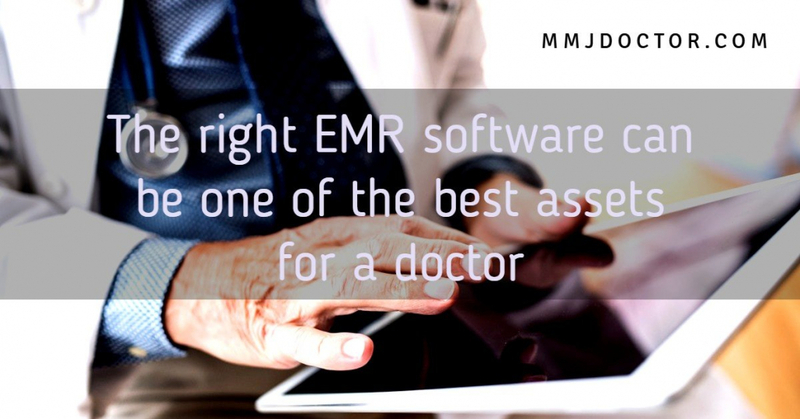 Another added bonus about finding the right EMR software and doctors – there are so many options to choose from. The IT industry has done a wonderful job with technology and developing software that is user-friendly for doctors. 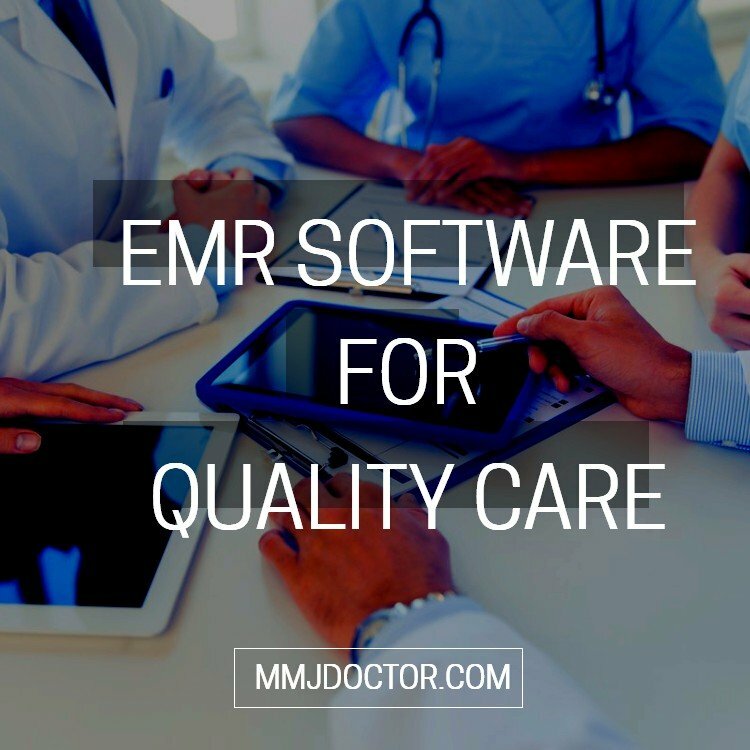 The ability to navigate software quickly and be able to pull a patient’s chart is now extremely fast and the doctor can review all of the information almost immediately. That is a huge improvement compared to trying to find a patient chart in a huge file cabinet or having to go to a storage facility to pull a patient chart from a few years ago. All a doctor has to do now is type in the name, email address, or even a phone number to find the patient. That saves everyone time and money. Software developers are thinking ahead and creating every feature imaginable, so that doctors are pleased with software and the usage. The affordability is also another added bonus. 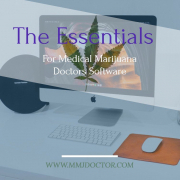 Operating a medical marijuana clinic can be expensive, but having the right MMJ doctor software will save money and allow the doctor to see even more patients. The clinic will need less employees and it will make more money. That really makes the medical marijuana industry attractive for doctors. 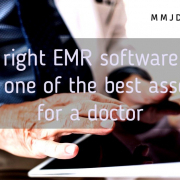 The right EMR software can be one of the best assets for a doctor. As the MMJ expands, there are going to be more and more states allowing medical marijuana recommendations. 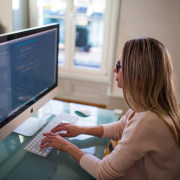 For a doctor thinking about going into this type of business, it is a huge moneymaker, but also the software developers are getting prepared so that they are able to handle the huge adjustment in patient numbers. 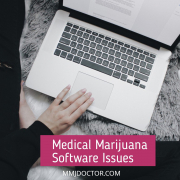 Right now, most software is adaptable for a decent amount of patience, but as more and more states become legal with medical marijuana, the patient numbers are going to drastically increase. For those websites that have doctors with different state licensing – more patients will be seen from one location, such as an online website. This means the complexity of the software needs to be improved and doctors need to be ready for even more features. The overall goal for a medical marijuana facility is making sure that the doctors can see multiple patients in a day and that the medical marijuana software is sufficient for both the doctors and the patients. That is a crucial part of the business and reminding patients to renew their medical marijuana recommendations. 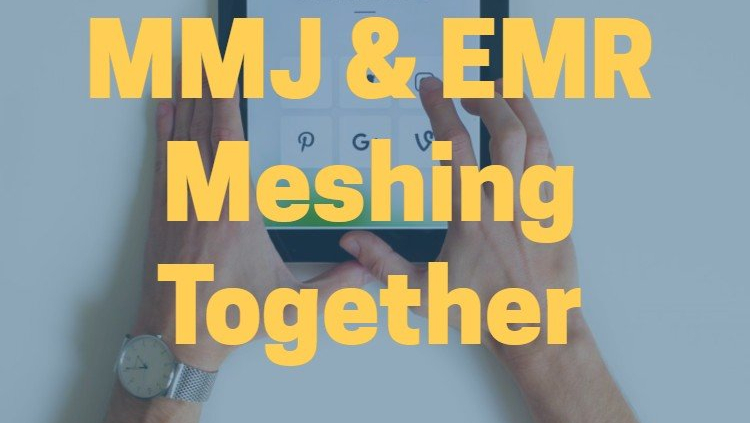 The small stuff that is forgotten can be what leads a medical marijuana facility into closing its doors or not being able to use an app for a MMJ can also be something that turns a successful business into a website with no traffic. 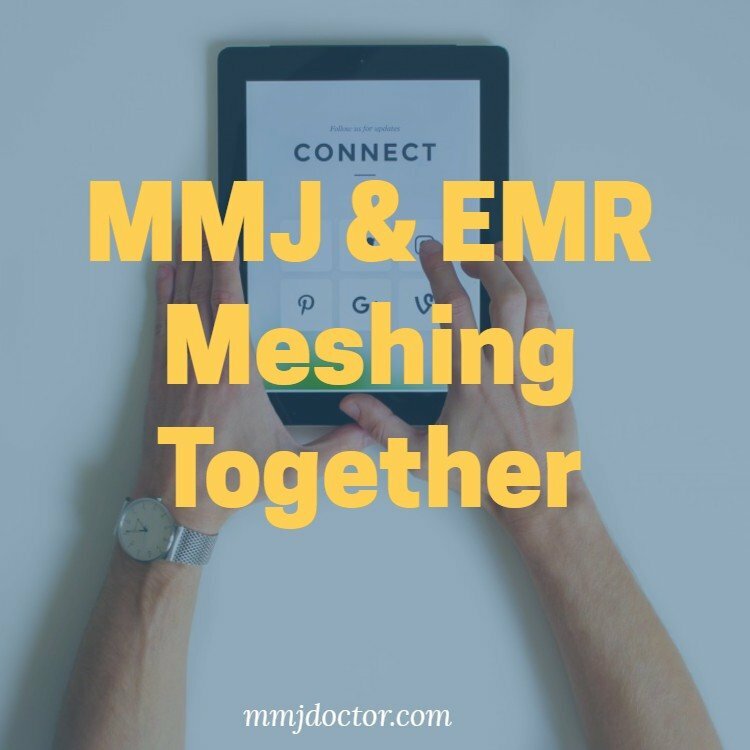 It is important that the MMJ doctor software operates correctly and that both the patient and the doctor are able to use it without any issues or time-consuming problems. The best software – easy to view and navigate.